Please reconsider your need to travel to Palestinian Territory. 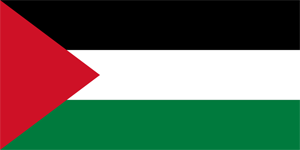 Palestinian Territory is a country in Asia (Western Asia) with around 4 million citizens and a land mass of 5,970 km². We detected travel advisories from 3 sources for this country. Palestinian Territory shares land borders with Israel and Jordan. For these countries, the individual warning index is 3.0 (Israel) and 2.4 (Jordan). See danger map of the region. Palästinensische Gebiete: Reise- und Sicherheitshinweise: Teilreisewarnung. The German government advises againt travelling this country. The Ministry for Foreign Affairs and Trade Promotion advises Maltese nationals travelling to Palestine that protests are expected on 30 March 2019 on the Gazan side of the Gaza/Israel perimeter fence to mark the one year anniversary of weekly demonstrations. There is an increased risk of security incidents, including rocket fire, which could occur well beyond the Gaza border area. You should follow instructions of local authorities and keep up to date with local media and travel reports.